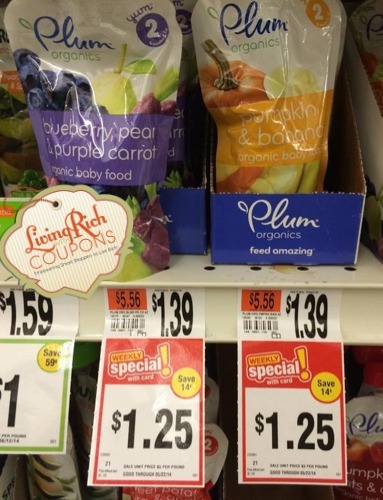 New $1/2 Plum Organics Baby Food Pouch Coupon – Only $0.75 at Stop & Shop + More Deals! There is a new Plum Organics Coupon available to print. 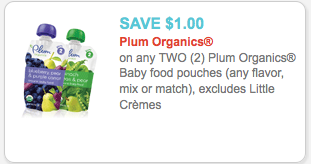 The coupon is for $1.00 on any TWO (2) Plum Organics Baby food pouches (any flavor, mix or match), excludes Little Crèmes and can be found under zip code: 19606. To find the coupon, click on the link above and type in the zip code. Once the zip code is changed, click on the link above once again and it will take you right to the coupon. 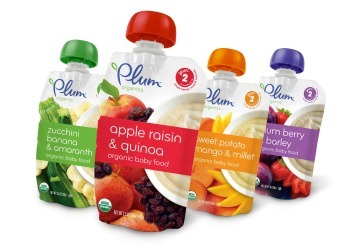 Stop & Shop has the Plum Organics Baby Food Pouches on sale for $1.25 through 5/22 making them only $0.75 each after the new coupon. 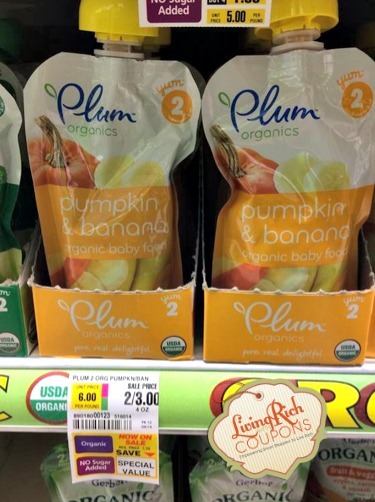 ShopRite has the Plum Organics Baby Food Pouches on Special Value Pricing for $1.50 making them only $1.00 each after the new coupon. Hot! $10/$50 Grocery Purchase Target Coupon – 25 Items Only $0.42 Each! Utz Potato Chips & Pretzels Only $0.49 at ShopRite!